Geox Marlon – are a shoe any parent would like there child to have. 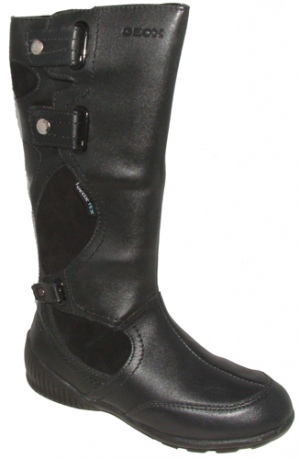 They have a strong rubber sole which means they are flexible and durable. There is also a perforated cover over the toes meaning where growing boys usually scuff their shoes, there will be no problem. The Geox patented breathable insoles regulate the temperature of your child’s feet and also stops smells, which can be an issue for boys at this age! These boys’ sports shoes are also a trendy style that any young man will want to wear with a cool leather and mesh design that gives them a sporty look. The perforated tops and breathable insoles mean that they are comfortable to wear all day every day.